Former member of Kpop boy band "TEEN TOP". N!N0 Jul 22 2017 9:52 am i hope you get casted in more dramas i really want to see more of you?. When i saw you in the entertainers i thought you were really cute so i looked you up online. Turns out you're this blazing hot boy band member with a totally different style from your character in the entertainers( i have to admit, i was shocked). I really love you and i hope to see more of you! Oppa hwaiting! Anu nair Apr 14 2017 12:56 pm honestly u shocked me with ur style.....when i saw in u in entertainer as a school boy ,i just ignored ur face ,but later when ur actual face was revealed,i was dead..........ur so cute and i love you!!! Apuyii Lizzy BeazXus Sep 12 2016 12:31 am Oppa...fighting..Keep up your smile..Your acting is Cute..
Jay Abella Jul 12 2016 4:11 am I laugh when ppl only realize he is actually an idol. Im crying proud over here for baby who finally atleast get noticed by his acting skill. 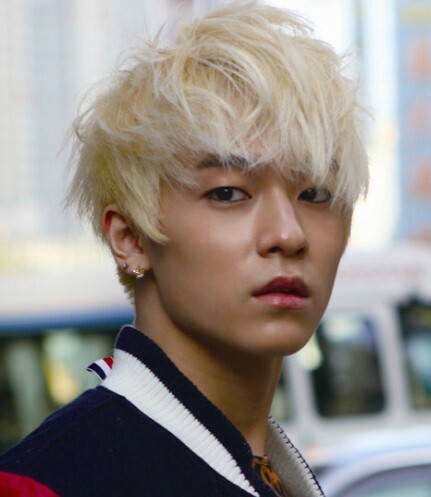 Yeah bishes this is L.joe who exist since 2010. Please continue supporting his talent. Anon Jun 01 2016 6:33 am oh my gosh he looks so different in entertainer! great acting! Shelby G May 25 2016 7:01 pm So happy to see him getting out there and landing more drama roles! ❤️ Let's see lots more in the future, honey. bel May 19 2016 6:26 am I wonder when im watching entertainer who is seo jae hoon bcause he is so handsome. I dont know tht it would be l.joe. omg! Chacha x daebakshop May 06 2016 3:49 am Loves ur act on entertainer !!! virus Mar 31 2015 9:14 am L.Joe is so cute wish you the best.